Having been described as a charismatic and captivating chiropractor, with a genuine love for working with children, Dr Jacey Pryjma has always focused on making a difference in the chiropractic profession. Dr Pryjma’s passion is in creating goal-orientated and results based experiences for children and their families. “If I can make a memorable experience for a child, then I can make a change that they take with them for life” says Dr Pryjma, who is fondly known as ‘Dr Jacey’ by her youngest patients. 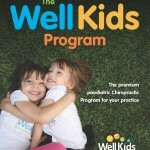 The Well Kids Program is Dr Pryjma’s signature program that is now Australia’s leading paediatric management program and software for Chiropractors. Well Kids provides Chiropractors with a step-by-step solution to engaging systematic documentation with children under chiropractic care. Dr Pryjma now mentors Chiropractors from Australia, New Zealand & Canada in who use Well Kids. In practice Dr Pryjma enjoys a practice full of families, pregnant mums and kids. Bringing her fun and energy into practice, she is known for her positivity and can-do attitude. Dr Pryjma enjoys incorporating strong evidence-informed protocols with her enthusiastic personality to encourage excellence in practice and practice management. Dr Pryjma is the director of the Australian Children’s Chiropractic Centre located in Warners Bay, Newcastle NSW Australia. The practice opens in June 2016. She was regularly interviewed for print, radio and TV. A driving force behind the NSW chiropractic students mentor program, Dr Pryjma regularly addressed university students and supported them to advance their academic and professional career. Dr Pryjma has always been interested in serving the profession. 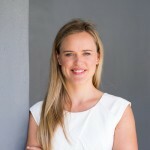 Soon after graduation Dr Pryjma was nominated to be a state executive board member and a media spokesperson for the professions governing body, the Chiropractors’ Association of Australia. As a speaker Dr Pryjma shares her knowledge in a fun and engaging way, to ensure her audience walks away with new found expertise and a smile on their face. Dr Pryjma genuine love for chiropractic and its potential, inspires those around her to set, takes steps and achieve their professional goals. To learn about her latest seminars for chiropractors click here. Dr Pryjma continues to represent paediatric chiropractic. She has been representing the profession since her early years in practice. Dr Pryjma served as a NSW Board Member of the Chiropractors’ Association of Australia (CAA) (2010 – 2012), regularly engaging with the media for comment on press releases and other health issues. Dr Pryjma was also the NSW spokesperson for the national Spinal Health Week held in March each year. She now serves on the CAA Clinical Interest Groups for Paediatrics supporting the profession now and for future benefits. Dr Pryjma has interviewed for local, state and national TV, national radio, local & national print and is a guest writer for various websites and companies. For me chiropractic care allows us to be a part of a child’s sensory world, to hold their hands and walk with them along their journey. To be a part of their growth, not just as an observer, but as a friend and practitioner.